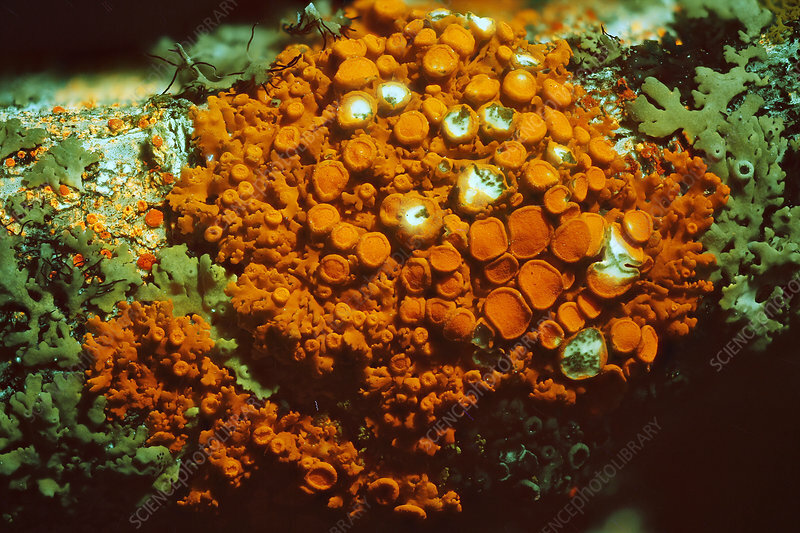 The Orange lichen (Xanthoria aureola) fluoresce in UV light. Photographed at 2x. The field of view of this image is 16 mm. This is a common lichen in New England. This lichen is often found growing on tree branches. The fluorescent properties of lichens helps with their identification. See SS21344116 for the same lichen under normal illumination.